Home › FAQ › What ACT Prep Courses Are Available? As the score they receive on the ACT can determine where they go to college, it’s not surprising that so many students want to know more about the ACT prep courses that are available. These courses feature a simple design with one goal in mind: help students receive higher scores and improve their scores on that test. The courses can range in price from a few hundred dollars to more than $1,000, which is why parents and students should look at the type of test prep courses now available. Online courses are a great option for students who live in rural areas and those who do not have access to a vehicle or public transportation. Instead of driving to meet with a tutor or take classes, they can take the courses entirely online. The online ACT prep courses that are available typically feature an instructor with experience taking and/or administering the ACT or similar tests. The course will cover science, reading, English and math and give students examples of questions similar to those found on the test. Those who attend private schools and larger public schools may find that their schools offer test prep classes. Many schools offer these courses as a way to help students do better on the test and to ensure that students understand the topics and questions found on the test. School sponsored courses may be free, but some schools bring in private tutors and private companies that charge for each class the student attends. Students will take practice tests in class and may have the opportunity to take home practice tests that they can use to see how their skills improve. In addition to school courses and online classes, students can also take traditional test prep courses. They often have two options. They can either take the course with other students, or they can hire a tutor to work with them privately at home. Working with a private tutor offers some one-on-one instruction and helps the tutor or teacher focus specifically on what that student needs. Many find that group sessions are a better choice. They can learn from the other students in the class and work in small groups to gain a better understanding of the materials the instructor presents in each session. Parents and students often want to know which of the ACT prep courses that are available work best. 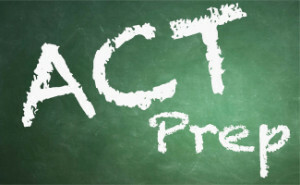 The ACT differentiates between short-term test prep and long-term test prep. Short-term test prep refers to traditional courses. Long-term test prep refers to college prep courses that prepare students for attending college. According to the ACT, long-term test prep is the most effective. Not only do students spend more time learning about the topics they see on the ACT, but they also gain a better understanding of those topics. Long-term test prep can increase average scores earned on the ACT by a significant percentage. The ACT gives colleges an idea of how well students might preform in school and how well those students retain the knowledge they learn. Though long-term test prep is the best choice, not all schools offer these classes, which is why it’s so important that students and their parents learn more about the ACT prep courses that are available.